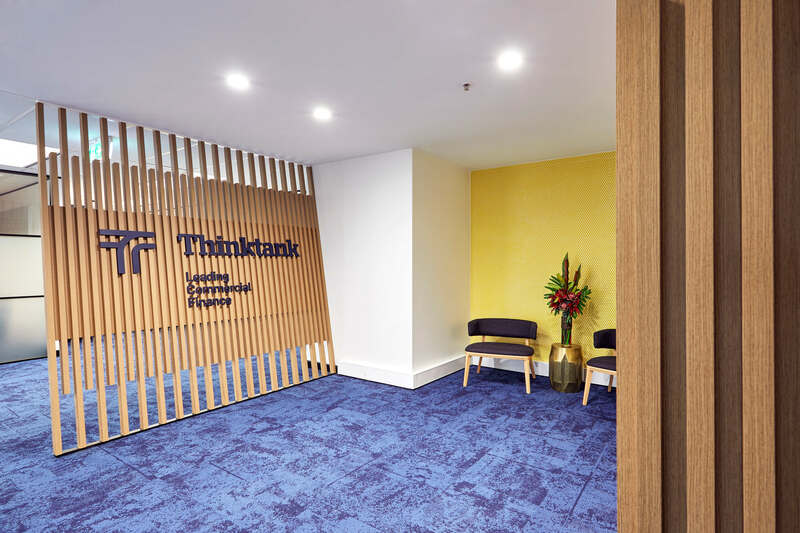 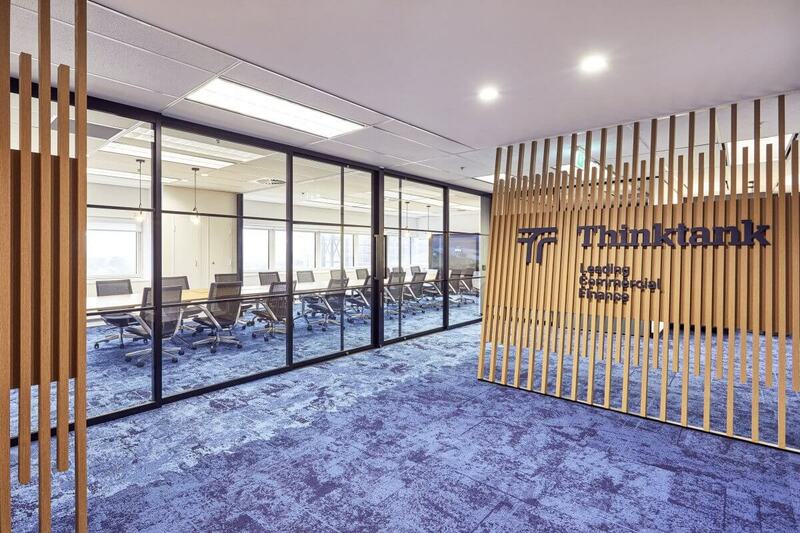 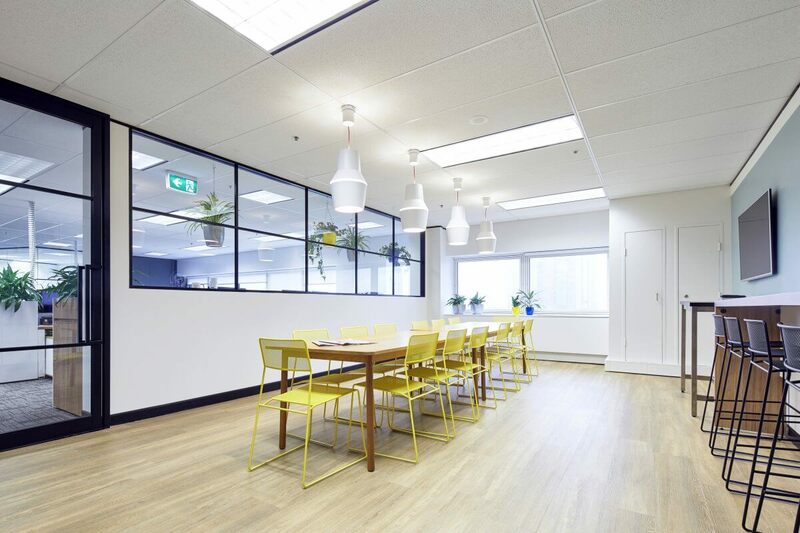 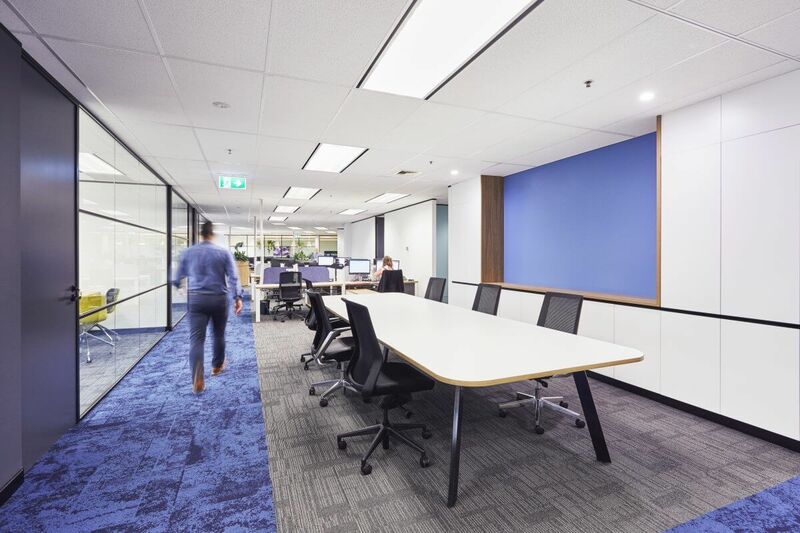 Specialists in financing commercial property, Thinktank needed an office refresh to excite its staff and clients. 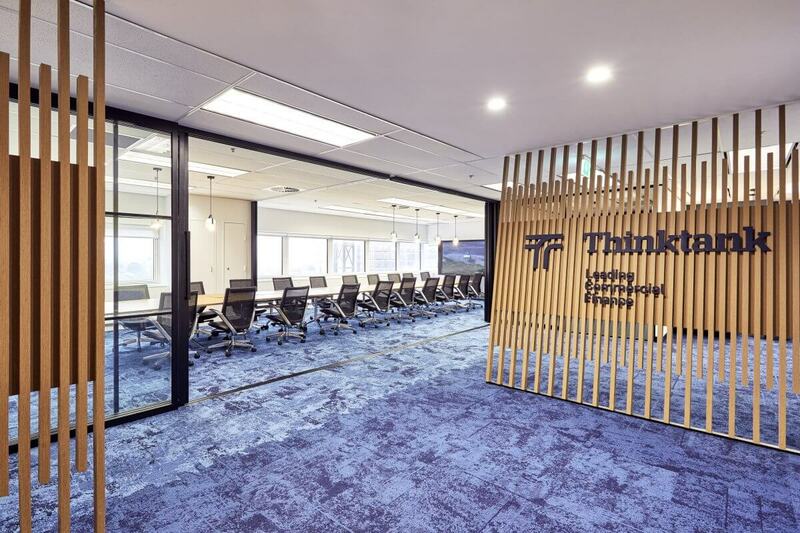 Its existing workspace didn’t match the brand, it was tired and enclosed and Thinktank needed to move to something vibrant and inspiring. To create an open feel environment, the design was challenged by the building plan, shaped in a ‘L’, impacting an already limited air flow. 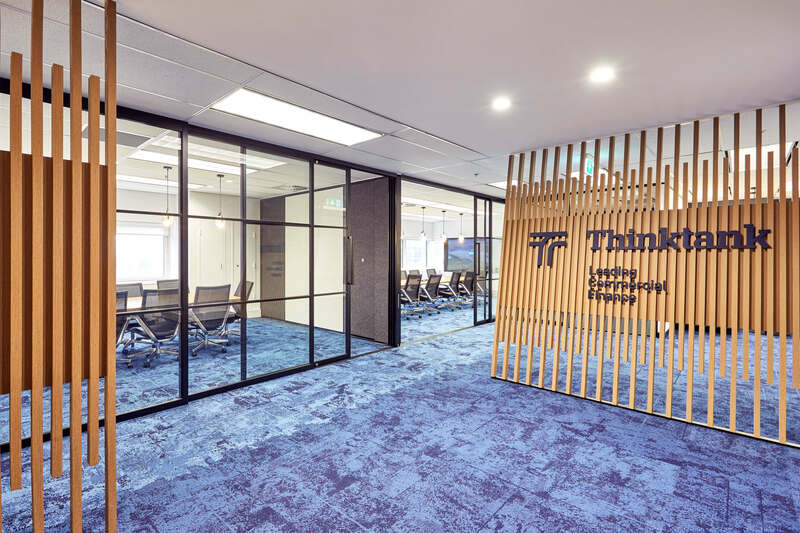 Sheldon and Thinktank’s partnership on the project was such a collaborative one, that these issues were quickly problem solved by all parties involved. 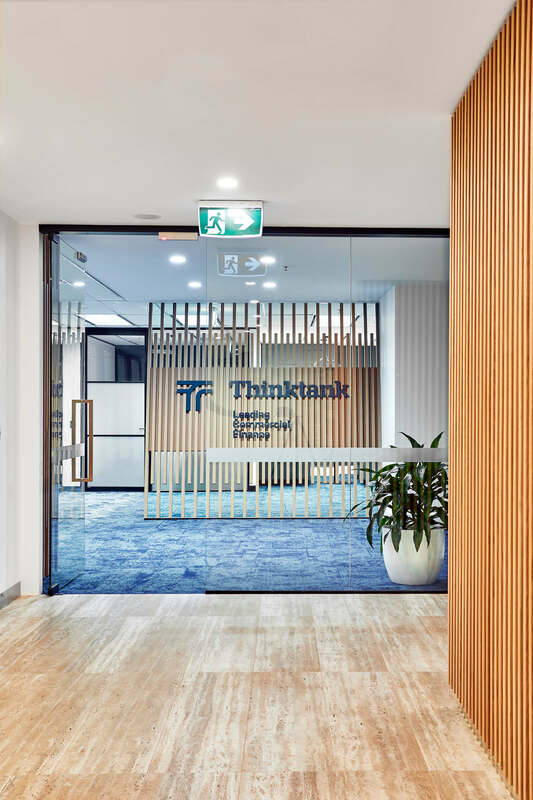 Sheldon understood Thinktank’s budget restraints and used clever planning to integrate fresh air flow throughout the design. 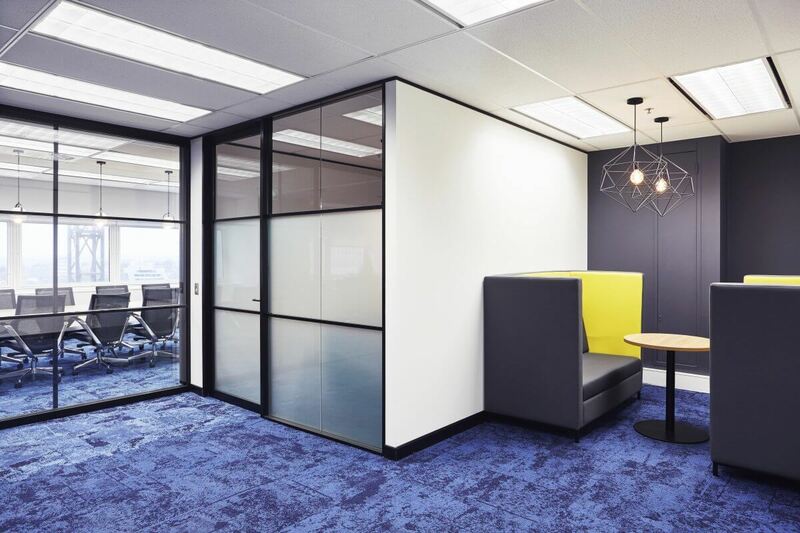 This service integration further involved developing custom workstations by Sheldon’s manufacturing unit, a cost effective solution. 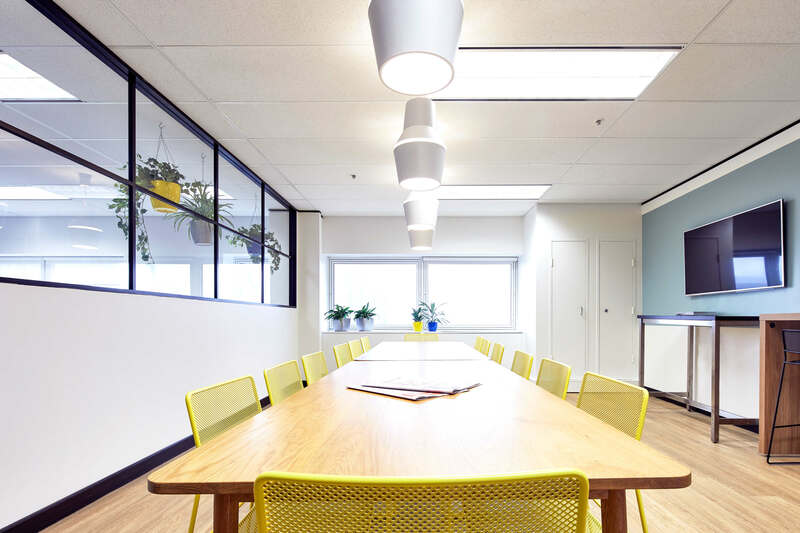 The result is a refreshing and inviting space, that uses the building best, from the floor plan, to air flow and natural light, every inch well thought out.